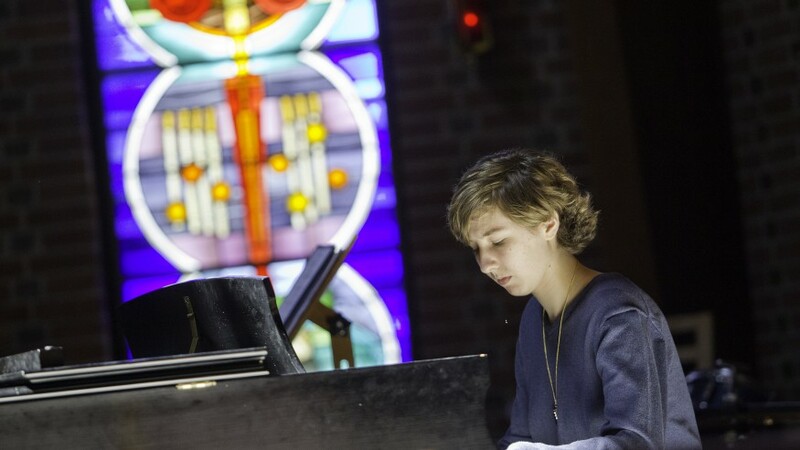 The Office for Mission, inspired by Blessed Basil Moreau's vision of education, works with students and the entire Stonehill community to live the values of a Holy Cross education by preparing "good citizens for both earth and heaven." Campus Ministry, the Farm at Stonehill, and the Center for Nonprofit Management collaborate in fostering this noble mission. 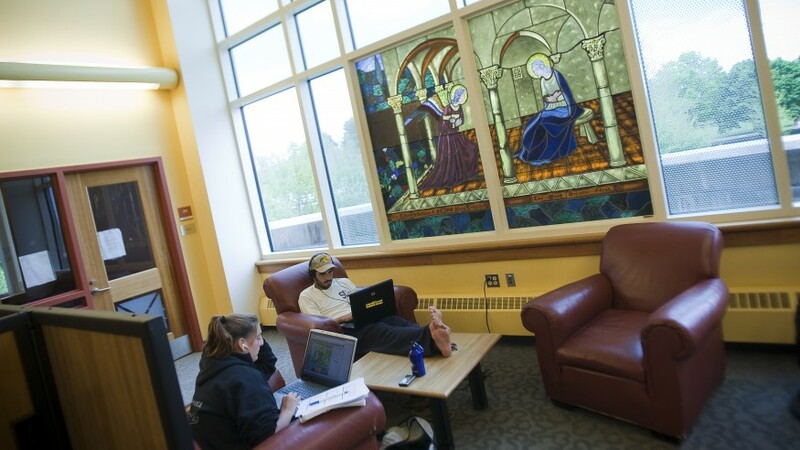 This vision of education as a work of forming the whole person inspired Blessed Basil Moreau, C.S.C., the founder of the Congregation of Holy Cross, and his religious family, the founders and sponsors of Stonehill College. 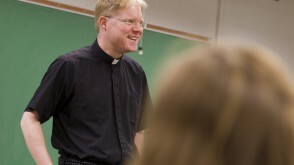 Stonehill is proud to share in the educational legacy of Fr. Moreau. Moreau's vision of education as a "work of resurrection" inspires us to pursue the blessings of new life that come from a diligent pursuit of all that is true, beautiful and good. Moreau's vision of education as an art that never "deprives our students of anything they should know," spurs us to academic excellence in every discipline of study. Moreau's vision of education as the formation of the whole person such that the "mind will not be cultivated at the expense of the heart," leads us to value the co-curricular and spiritual dimensions of life at Stonehill. 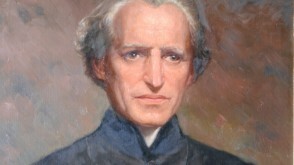 And Moreau's vision of education as the work of forming students "into justice" underlies our mission of educating students to lead "with courage toward creating a more just and compassionate world." The Office for Mission sponsors a lecture series in honor of Saint André Bessette, C.S.C..The ongoing theme for the lecture series will be "Welcoming the Other," as Saint André spent much of his life serving as a humble porter. Learn more about the lecture series and the first Congregation of Holy Cross member to be canonized a saint.